PowerBI is all the rage, but most people don’t seem to realise Microsoft’s Power tools are available within Excel already. But even more importantly, the most important one is there and ready to work. 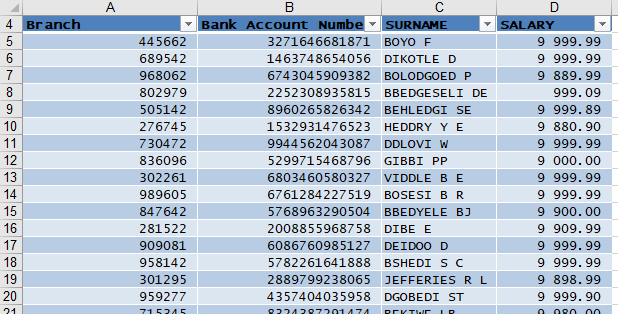 PowerQuery (now called Get & Transform) is ground breaking and something you must (and easily) can learn. 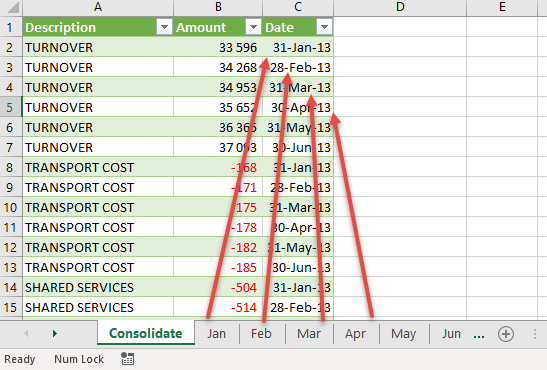 It lets you continue to use all your Excel knowledge. 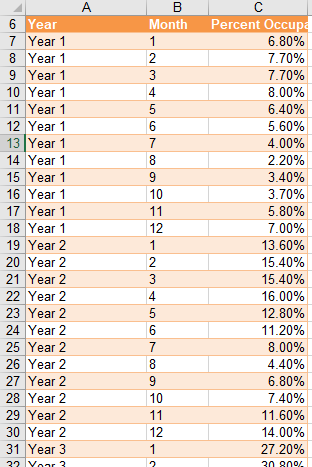 Pivots, VLOOKUP’s. Everything you already know can be used in the normal way. It just makes all those tedious tasks so much easier and repeatable! 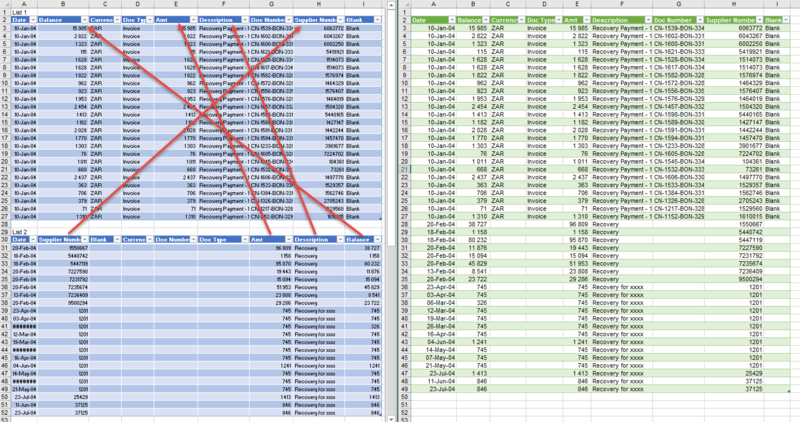 Below, you can have all the data in the sheets appear in a consolidated sheet (with no manual linking and looking up). Next month add a sheet and it will consolidate! 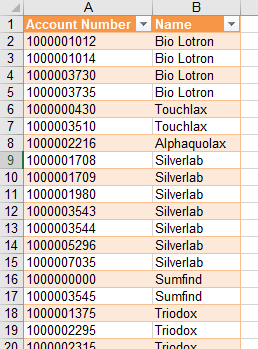 Append files where column order DOES NOT MATCH. No more insert, move, copy, paste just to get them to line up. And next month you just refresh! Only requires an Intermediate Excel skill level (push buttons- limited typing/ formula or code) and can be learnt in 1 day. Your Intermediate users will be able to outperform the advanced users! Ever needed to create a unique lookup list based on the vendor accounts? A few clicks and if will look like this, and best of all next month you will just need to refresh! 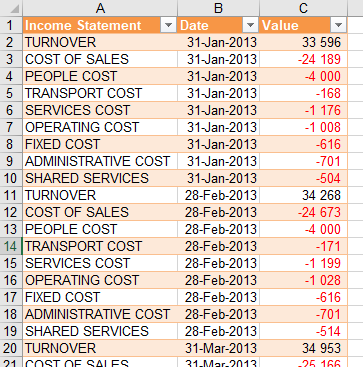 All your VLOOKUPS/ SUMIFS/ PIVOTS can link to this in the normal way! Set up the report and then just refresh when you get new data for new month, new department, new company! Your life may change just by learning about PowerQuery! Have a look at the online PowerQuery course for a quick way to learn all this.